During the Ubisoft conference Ubisoft announced Tom Clancy’s The Division for Playstation 4 and Xbox One, below are two videos, a trailer and a gameplay playthrough. On what platforms will the game be released? We are optimizing the experience for next gen consoles (PS4™ and Xbox One) only, as we are creating a next-gen game. 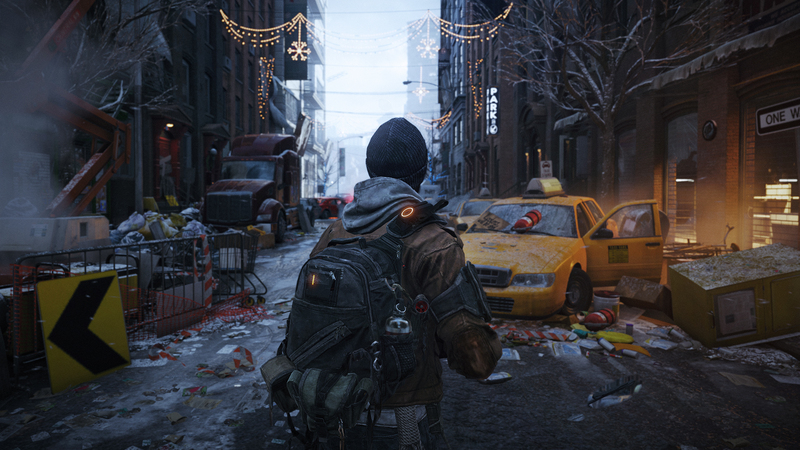 Tom Clancy’s The Division is planned for release in 2014. What is Tom Clancy’s The Divison™, about? This new Tom Clancy™ franchise is about the fragility of our society, and how complex and vulnerable it really is. We lead very comfortable lives, but we are only a few small steps from complete collapse. Our society is so complex, in fact, that even a small incident can set off a huge chain reaction that could make all the dominos fall. For example, have you ever considered what would happen if people stopped going to work, if trucks stopped delivering food and water to the city, if hospitals were no longer able to provide medical care? In our game, a deadly virus is spreading massively, bringing entire nations to their knees. A secret organization created for such emergencies and made of civilian agents, called the Division, is tasked to respond to the crisis. 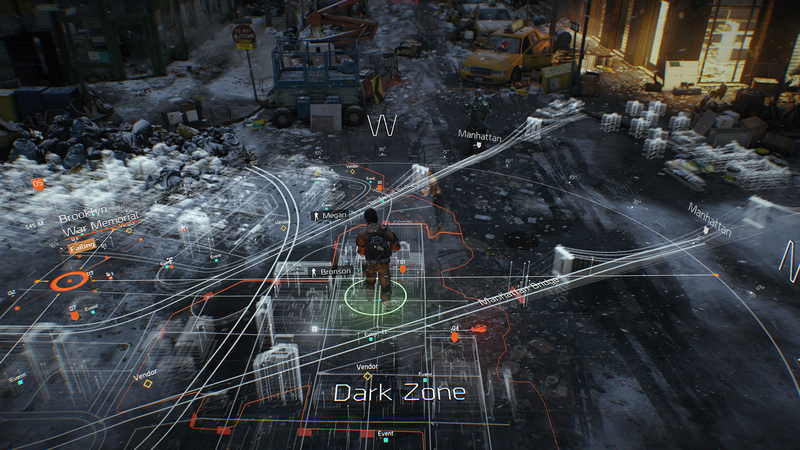 You play as an agent from The Division, dispatched to New York City which is on the brink of collapse. Civil unrest is rampant and basic services have failed. People are rioting, pillaging, and clans are forming. Your mission is to restore society and track down those responsible for the pandemic. What inspired the team to make The Division? Clear and present danger: one of the main values underpinning all the best Tom Clancy novels. In our case, it is the fragility of society. Clancy games are traditionally about preventing a disaster. But what if the disaster actually took place? That was a very exciting scenario for us and we had noticed that no games dealt with this kind of mid-crisis situations. There are plenty of post-apocalyptic games, but not many about a crisis itself, those crucial hours and days where we live in a state of emergency. When we started to work on this new IP, our objective was also to bring a new genre to the Tom Clancy franchise: a role playing game. In the Clancy universe, this is a perfect match, as upgrading your tech and gear and choosing your play-style are pivotal. Finally, the opportunities offered by the next-gen consoles were key to achieve our vision and offer a brand new experience to our gamers. What genre of game is it? Tom Clancy’s The Division is an online, open-world, RPG game. This game is really tailored for you to play together with friends. You will meet other people online, and thus have the opportunity of finding other players that match your play style and patterns. You will co-operate to fight together against the emerging dangers of this ongoing crisis scenario. Then, gamers will be able to immerse in a realistic, dynamic, persistent and open-world New-York, with a strong focus on exploration. Finally, the gameplay emphasizes cover-based action, RPG systems such as looting and crafting, skills and social features, plus a strong focus on weapon types and customization. Did the studio consult with any type of experts such as medical, military or technology specialists on Tom Clancy’s The Division? Ubisoft® has a long history of working with experts and consultants. For The Division, we have consulted with ex CIA agents, the military, survivalists, doctors, as well as experts in this kind of scenario. We are also lucky to have in our teams at Massive, people who have experience on these matters, which is valuable for this game. Some team members have even participated in survival trainings to develop first-hand experience of living without the things we all take for granted like food or water. Why call the game The Division? Who spread the virus and what is it? Dealing with what the virus is and how it is impacting New York is an integral part of the player experience and story in the game. This virus is a chimera version of the flu, meaning that it has been manipulated by man for a specific effect and purpose. It weakens the immune system to make people more vulnerable to infections. The question of who released it will be explored and revealed through the game itself. Who are The Division’s agents? How are they selected? In 2001, the US government held a high-level exercise to simulate a biological attack on the nation, called Operation Dark Winter. The scenario quickly spiralled out of control and it became clear in just a few days that the nation wasn’t prepared for this kind of catastrophic emergency. Sometime later, in 2007, the then President George W. Bush signed Directive 51. It gives the President supreme power in the case of a catastrophic emergency, thus bypassing the congressional and judicial system. This is all real and where our game begins. The Division’s agents are carefully selected and live amongst us, holding down their ordinary jobs in law enforcement, the military, rescue services, the intelligence community, scientists, engineers and so on. They are all highly trained, and are ready to do whatever it takes to ensure that our society lives on. Once activated by the President, following the implementation of Directive 51, their task is to investigate the on-going event, engage emerging threats and restore society. How is it going to be next-gen? What will be different? Our goal at Massive is to focus on making the best game possible for the players, to increase immersion in our universe and to make them feel like they are part of a real-life situation. In our case, in order to build a universe about the fragility of society, we needed to create a brand new engine called Snowdrop™, designed from the ground up to harness the power of the next generation of consoles and that allows us to create a universe offering a wide variety of features, such as a reactive living-world system with complex AI, procedural destruction and dynamic global illumination. We were also able to integrate more objects than ever before in the environment in order to create a devastated and chaotic New York. Next-gen consoles also focus on online and social features. Within our engine, we have developed a new platform with a state-of-the-art matchmaking technology. That enables you to play with people that match your play-style, preferences and behavior. One thing we are really proud of is our truly unique experience: a companion gaming app with real-time gameplay on smart phones and tablets, that lets one of your friends play with you from anywhere, anytime. How does the New York of The Division compare to real-world NYC? How important is realism in the game? The whole foundation for the IP is based on realism. That’s what makes our story so scary and engaging. We spent months researching the subject and the more we learned the more frightened we became. When it comes to New York, we want the player to feel like he is actually exploring the city with all its landmarks, street names and atmosphere. Of course, we also took some creative liberties with the map of New York, as in the end it’s about making a great game. To what extent is your game open-world? Our open-world will be both dynamic and persistent. The dynamic elements are there, so that we can create a world which feels alive and ever-changing. Replaying an area or piece of content will vary from session-to-session and therefore feel fresh to the player. We want our players to be able to replay content which they have discovered, possibly for a specific item or certain achievements or just because they really enjoy it. Persistency of the environment is also very important, as we will add content and features to the game long after launch. Will it be possible to enter buildings? Yes, and it will play a major role in the game. 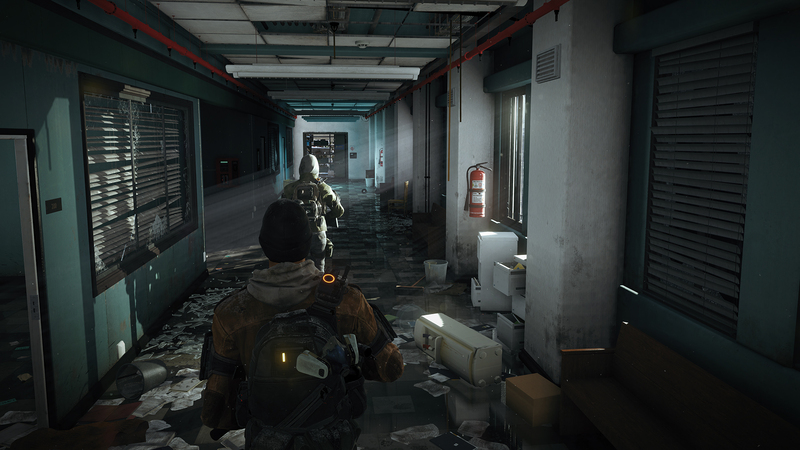 As you have seen in the demo for example, agents of The Division enter a police station, where they find gear. In this open-world game, we want to give the player as much opportunity as possible to explore and live their own adventure. In this brand, we are creating a whole new universe in an original setting that will be great fun to discover. What makes this game an RPG? Tom Clancy’s The Division is an Online, Open World, RPG game, in a setting which Clancy fans have never seen before. Gamers will be able to experience a deep skill and talent system with immense variety, as well as full character customization and progression. Players will benefit from a large and active in-game player economy, where they loot and craft items that are available to the community. They will also have a very large choice of weapons that will synergize with the players’ skills and talents, to create a play-style and role within a group. Finally, the game is about exploring every part of the ravaged New York area and discovering its hidden stories. We’ve noticed a lot of different technological features in the demo, like the pulse effect or the smart watch. What kind of technology is this? How does it work? 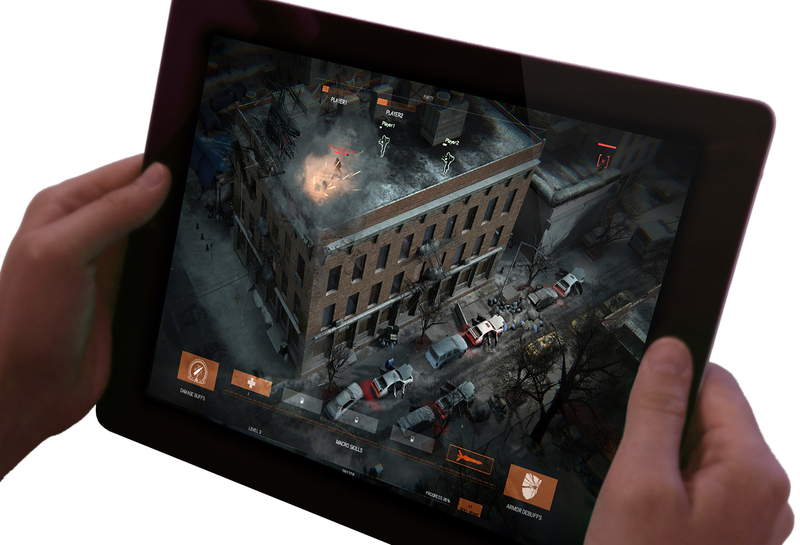 Technology has always been a major aspect of the Tom Clancy franchise. In our game, The Division agents use a smart watch to communicate with others and to collect data about their environment. When triggered, the pulse scans the environment surrounding the agents and gives them relevant information, such as civilian infection status, locations or useful items. The pulse itself is one of the many functions of the smart watch, which is tied to player progression in the game. It can be upgraded, and the players can expand its capabilities as they advance through the game. How many game hours does the game offer? Tom Clancy’s The Division provides potentially limitless hours of gameplay focusing on exploration, looting and crafting, player progression, customization and social feature. This game is whole new universe for players to immerse themselves in, and meet new people. How is pvp going to be integrated in the game? Player vs. Player combat will play a very big role in our game. The choices you make as a Division agent can either spur a recovery or plunge the city further into chaos. The people you meet in certain areas of the game can either be your best friends or your worst enemies. How is companion gaming going to work? We believe we are setting the bar for what companion gaming means for the next generation of consoles. Having applications which allow you to view and modify your character offline is not enough. Companion gaming will be a meaningful experience in this game, where players can feel that they influence the world from their tablets or smart phones and are able to truly interact with other players. Companion gamers will be able to join groups, act in combat situations and experience their own progression and storyline through the game. In addition, all of this will be free to play, because we want as many players as possible to be able to experience the game. Will it be p2p or will there be dedicated servers? Yes, we will have dedicated servers. The Division is an online, open world, RPG game and this is the reason why we want to offer our players the best of multiplayer gameplay, social features and services. Unlike current generation RPG games, our players will not be limited to a server or realm. This means that any gamer can play with any other player regardless of where they are in the world. How long has the project been in development? We have been working on the IP and on the tech for several years and on the actual game since the summer of 2012. We live in a fragile and complex world, a web of interdependent systems we rely on every day. When one fails, others follow, creating a deadly domino effect that can cripple society in just days. In Tom Clancy’s The Division™, immerse yourself in a frighteningly chaotic and devastated New York City, where society is failing. 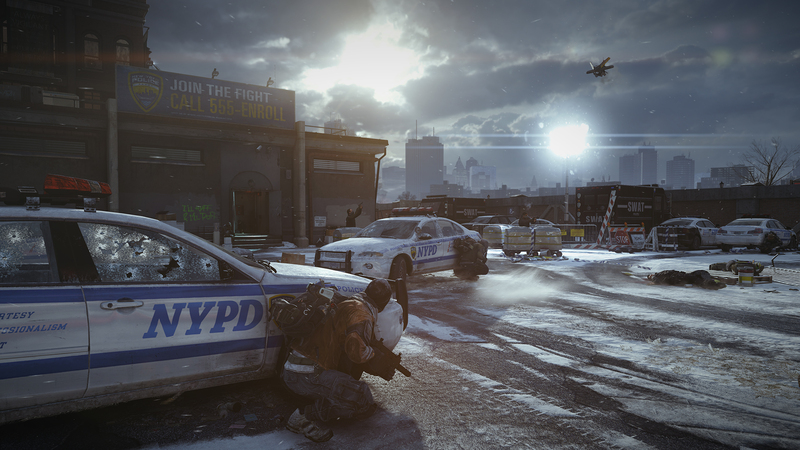 As a Division agent, your mission is to restore order, team up with other agents and take back New York. Welcome to an online, open-world, Action RPG experience where exploration and player-progression are essential. Use your skills, weapons and wits in combat. Play in a persistent and dynamic environment that combines the Tom Clancy™ series’ core authenticity and tactical decisions, RPG action, trading and much more. Seamlessly team up with friends and use your combined skills to fight the crisis, investigate the sources of the virus and engage all threats, even your own citizens. Improve your gear with player-to-player trading, and fight through a city where danger can come from anywhere and anyone at any moment. As part of The Division, harness state-of-the-art technology: both networked and prototyped. Loot fallen foes and craft new, improved gear. Completely customize your go-bag, an agent’s only supplies in the event of collapse, and communicate with the other agents at all times with your smart watch. Customize your agent with thousands of weapon types, skill combinations, gear and much more. The choices you make will help forge a recovery or plunge the city deeper into chaos. On your smart phone or tablet, join your friends in real-time gameplay with exclusive characters. The app gives you a bird’s eye view of the battlefield, the ability to aid your allies in combat by attacking enemies or identifing targets and raining destruction down on your enemies. You play as Aiden Pearce, a brilliant hacker and former thug, whose criminal past led to a violent family tragedy. Now on the hunt for those who hurt your family, you’ll be able to monitor and hack all who surround you by manipulating everything connected to the city’s network. Access omnipresent security cameras, download personal information to locate a target, control traffic lights and public transportation to stop the enemy…and more. ©2013 Ubisoft Entertainment. All Rights Reserved. Watch Dogs, Ubisoft and the Ubisoft logo are trademarks of Ubisoft Entertainment in the U.S. and/or other countries. ””, “PlayStation” and “PS3” are trademarks or registered trademarks of Sony Computer Entertainment Inc. ““ is a trademark of the same company. KINECT, Xbox, Xbox 360, Xbox One, Xbox LIVE, and the Xbox logos are trademarks of the Microsoft group of companies and are used under license from Microsoft. Trademarks are property of their respective owners. Nintendo, Wii and WiiU are trademarks of Nintendo. Posted on June 11, 2013, in News, Technology, Video Games and tagged assassins creed iv, pc, pc game, playstation 3, playstation 4, ps3, ps4, tom clancy's the division, Watch Dogs, Watch_dogs, xbox 360, xbox one, xbox360. Bookmark the permalink. Leave a comment.